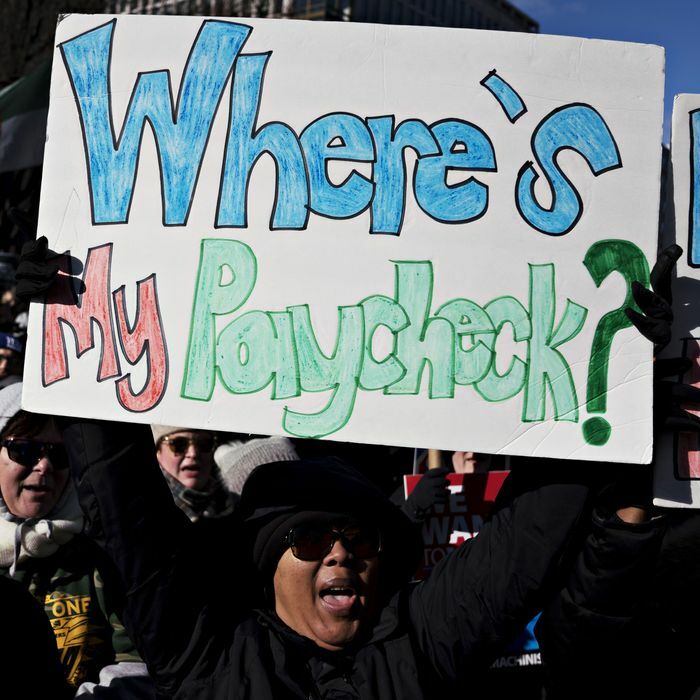 The government is up and running again, and the 800,000 federal employees who went unpaid for more than a month will soon be made whole. The same cannot be said for the hundreds of thousands of contractors who clean toilets, cook meals, and perform other grueling tasks for the federal government. There’s an effort to change that though. Nearly two weeks ago, a handful of Democratic senators put forward a bill to guarantee back pay to contractors, who are paid by third-party companies. Those companies aren’t getting paid by the government during the shutdown and so the people who work for them are also going unpaid. The Democratic legislation calls for federal agencies to reimburse contractors for providing back pay to janitors, cooks, security guards, and others who were out of work during the shutdown. If any workers used sick days or leave during the shutdown, contractors would also be compensated for restoring those days for employees. “This bill is about helping a group of people who are often invisible — people who work in the cafeterias, who clean offices after everyone else goes home, security guards who keep our buildings safe overnight,” Minnesota senator Tina Smith said in a statement earlier this month. She also said providing this money to contractors should be a no-brainer since it’s already been allocated to federal agencies. “I don’t know of any Republican opposition to this,” Sen. Chris Van Hollen (MD), one of the bill’s sponsors told Vox, adding that he hopes the legislation could be added to any final spending package that funds the government. In the House, Rep. Ayanna Pressley (MA) has also introduced a companion bill. And because Unispec cannot pay its employees until it has billed the government and received payment for their work, it will be another four full weeks, Feb. 28, before Morgan is eligible to receive a complete paycheck, McClure said.